Here is the house. It is white and green. It has a red door. I stand by that idea. In high school, we read Malcom X and I Know Where the Caged Bird Sings. 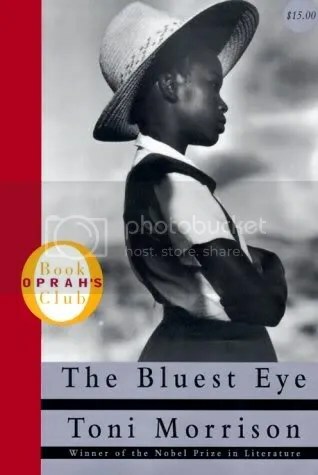 Neither had the intensity or the literary application (English teachers love that) of The Bluest Eye. 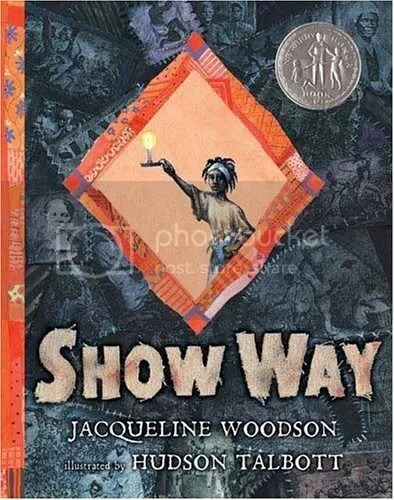 The story is about Pecola, a poor black girl living in Ohio after the Great Depression. She is living with another family – the book takes you through the How She Got There, the What Happens Next, and what I thought were some of the most moving parts of the story, How Her Parents Got There. Yes, this is an important book about the African American experience in the US, but it’s also something to behold in a literary sense. Shifting perspectives, artful language, stories unfolding out of chronology, adding up to something bigger than the sum of its parts. This is a really a book that everyone should read. 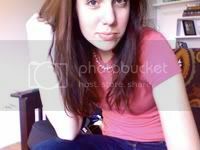 in South Carolina without her ma or pa but with some muslin her me had given her. Maybe this will change once I’ve had an entire course on the art form, but I’m not the biggest fan of picture books. There are some I think are fun. But they don’t really move me. A perfect marriage of words and images, in my mind. The story is a personal historical narrative, told in verse-like prose, tracing one girl through time, from slavery to 21st century America. The genealogy is the driving narrative, but a symbol that drives the text is the Show Way – a quilt with secret messages sewn into the pattern, showing the way for escaped slaves to reach safety. The family story compounds through time, following the maternal line, and Woodson tells the deeply personal story in a way that feels universal. We all have stories like these in our family, and those stories and those people add up to US, whether we know the stories or not. Oh, and the pictures are simply revelatory. Amazing. Will move you, even if for whatever reason the text does not. Art. Art Art. Man, these reviews are simply getting more and more coherent as the days go by, huh? The premise is one of those gimmicky things you’re getting sick of: someone does BLAH for a year, and writes a book. Except it’s Barbara Kingsolver. And she wasn’t dressing like someone from the Bible or going on a self-help spree or cooking her way through a cook book. She was just eating local food. For a year. A boring premise that turns out to be more interesting than any of those gimmicks. This book is equal parts memoir and nonfiction. Kingsolver tells stories about the history of her property, laughs about her turkey husbandry endeavors, and describes the seasons and the different kinds of work and food they entail in a way that exudes comfort. Lots of curl-up-inside-this-book-and-live moments. But there is real information here too, about the food industry and why it’s infinitely better for the world and our bodies to simply grow your own food. Or to know the person who grew it. There is something special about a book that makes you want to leap up from the page and DO something. I don’t have a garden yet, but I will. If you spent any time at all in a supermarket in the 1980s, you might have noticed something peculiar going on. If you were to read any book I have ever recommended, I would tell you to read this one. There is something wrong with the American diet. We eat too much (because our attitudes about food are all screwed up). We eat crap (because we don’t have the strong food culture that values time spent on food). Even the good food is crappy (because of the Big Food monopoly). We would rather eat something made from a machine than made from actual food (because of the media). Add about 75 more things you’d never thought about/didn’t know about food, and you will have In Defense of Food. I have a crush on Michael Pollan. He tells it like it is in a way that makes you feel okay about yourself, even though you are an idiot and should really stop drinking Diet Coke already. 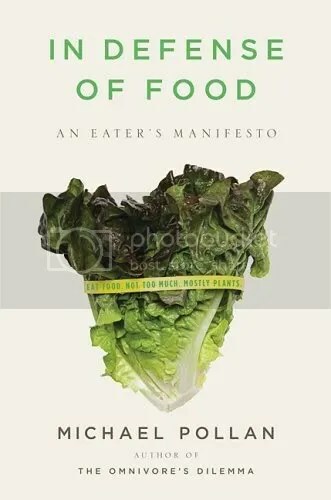 Animal, Vegetable, Miracle put a fire under my feet, but this book has changed the way I eat, already and immediately. Please, please read this book! Words can barely express how much I enjoyed this book. And I’m not really going to pretend that this is a book for everyone. It’s probably only a book for those who have Baby Fever with a side of homebirth. Just me and my sister Caroline, really. BUT I LOVED THIS BOOK! But really. It’s good. 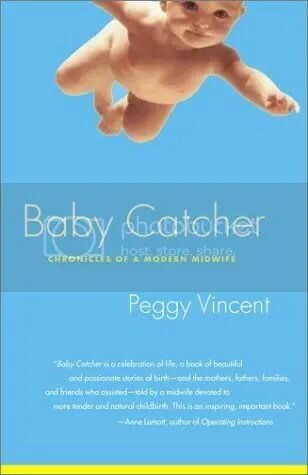 Peggy Vincent delivered her first baby as a nurse-in-training in the 1960s. In the age of the “twilight sleep”(Google it: disturbing stuff), Vincent walked into the room of a woman who refused drugs, who refused to sit down, who refused to stop yelling. It changed the way Peggy looked at the medicine of maternity – she began training to be a midwife shortly thereafter, working in hospitals, in an alternative birthing center in Berkeley, and then working her own private practice, specializing in home births. This is a memoir not about Vincent, but about the important and exciting work that she did for decades. She is a talented storyteller, but it comes out in the way she can remove herself from the story and put the focus on the many, many women she assisted. Which is exactly what you want from a midwife, I’d think. Each episode, each birth, is as interesting and exciting as someone close to you. I was flipping pages late into the night, wanting more and more stories. If you are a lady, and you plan on someday procreating and taking the epidural as soon as they hand it out, then you might not want to read this book. It might change your mind. I just finished Animal, Vegetable, Miracle and WOW, did I love it. It was as gripping as any fiction could have been. I have In Defense of Food right now, but have only read about ten pages. that cover for Baby Catcher is amazing.